What is “Eye Gaze Input” ? 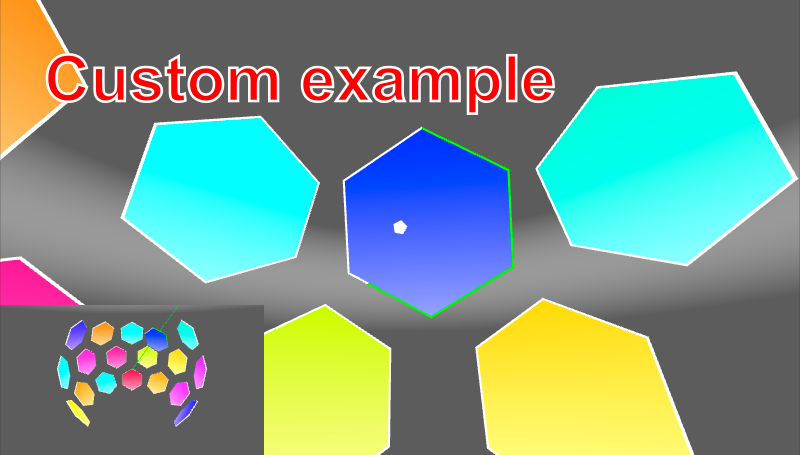 “Eye Gaze Input” is simple script to use viewer’s gaze detection as an action trigger. Has a high affinity with FPS and VR content, that makes possible comfortable interaction without tapping button. Simple Implementation; just to attatch a script. Easy customization of the sample scene. Adding script to the object to set “eye gaze”. Please add the “Eye Gaze Input” to the object contains MainCamera. Adding script to the object to set “eye gaze”. Please add the “Eye Gaze Receiver” to the object you wish to do some action by being stare. Define the action When the object that has “Eye Gaze Receiver” is being stared by the object that has “Eye Gaze Receiver”, “OnGazeBegin” message will send. And if hte eye gaze　left, “OnGazeEnd” message will send. 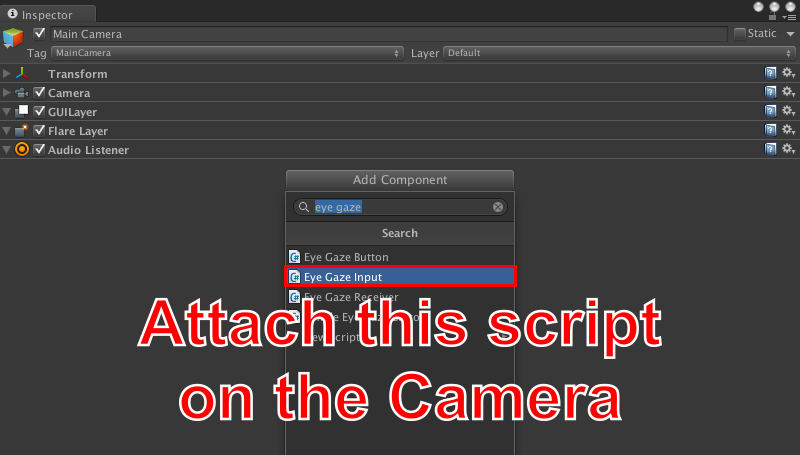 You can set unique actions to adding script to the object, and using “OnGazeBegin” method and “OnGazeEnd” method. Place the button Drag and drop “/EyeGazeInput/SimpleEyeGazeButton/Prefabs/SimpleEyeGazeButton.prefab” to Hierarchy. Following parameters are variable at Inspector. Duration Time of the call to “OnButtonGaze”. Normal Bg Texture the button background image when it has not been staring. Gazing Bg Texture the button background image when it is staring. The “Eye Gaze Input” can be purchased from the asset store in the Unity official site.